Yeah, I thought about that. I thought there was some kind of shortcut I didn't know about. It's somewhat inconvenient to edit the enemy version of the spell as well if needed. I see. I've always completely separated my enemy and character skills by default, since it makes balancing them less of a chore. I really wouldn't know how to make it work for both, sorry. In addition, is there a way, through action sequences settings, to perform the next action after the display of the action's name faster? e.g. When a spell's name is displayed, there's a delay before the next step. Is it possible to make a target or a user move up or down? Cause the only available options are forward and backward and the jump option doesn't satisfy me because the target/user always goes down immediately upon reaching the point. you can make them float, but you can't make them go below the base level to my knowledge. Float is useful though. @erikmidnatt Thank you so much. That worked, never thought the float would work as well. Even when I remove all things animation related, it still plays. Can anyone tell me what I'm doing wrong? So I'm still learning how to use these action sequences, but I'm stuck. I want an attack that has the player go up to the enemy and punch (I'm editing the code Yanfly gave earlier for the basic attack) but it seems the way it works is that no matter what action you give, the actor will do the action with their equipped weapon. How would I accomplish showing it without the weapon in hand? Would I need to unequip the weapon (which lowers players stats which I don't want)? I've looked through the help but I can't figure this out. hi guys, can you help me with this one. the skill still apply damage after the end , and even to dead target. it should be only a 1 hit. 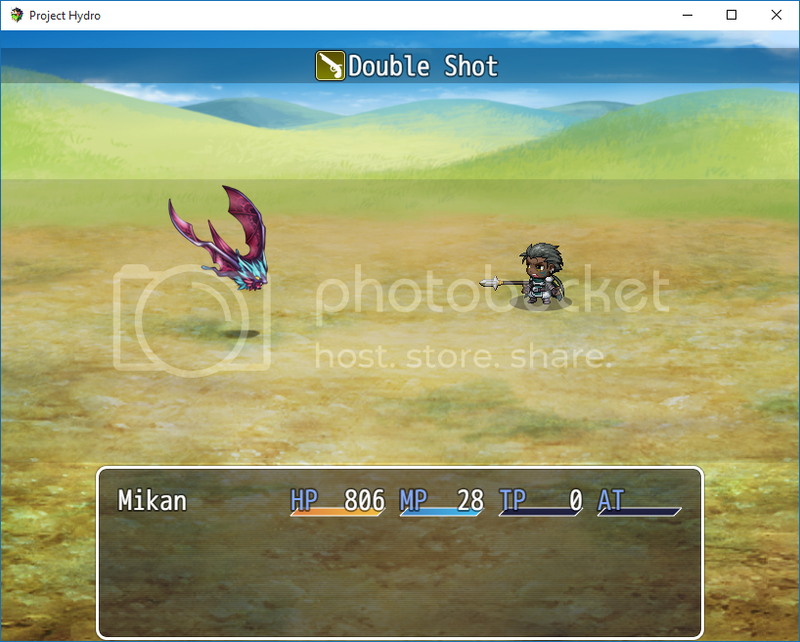 I am not sure if this is inherent to the plugin but I used Yanfly's sequence from above to make the "Attack" skill detect what type of weapon is being used, but I notice when the "Melee" types move they zoom across the screen to the enemy battler. Out of curiosity is there away to slow down this movement? Quoted the Action Sequence from above for convenience. @Arcmagik: If you look at this "move user: targets, front, 20" the number at the end of it is how many frames you want that sequence to be completed. 20 frames is about 1/3 a second, so if you want the character to move slower, then change that number. @Meike: I don't think there's a way to accomplish what you want with the way the plugins are currently built, perhaps you could go to his website and request it? Yanfly is pretty great at updating his plugins to the needs of his player-base. I thought that had something to do with it. Thank you for the help. I have a skill I used this plugin with, and I have "display action" during the setup action, but in one of my playtests the name of the action stayed on screen when it was done and the name of the next action appeared under it. How do I prevent this? I believe you will have to put in "clear battle log" somewhere in the skill around the end of it. Ichida za Zeal likes this. That did it. Thanks very much. In the skill itself, under "Skill Type" if it's a Magic or Skill type and in your system settings, you have either of those two listed in the top right hand corner under [sV] Magic Skills then the little magic casting animation will play. ^ That will go BEFORE any <target action> or <whole action> portion of the skill sequence. The wait is so that there is a tiny pause in between the action being shown in the message box and when the character/enemy will actually go in for the attack. It can be removed if you want. Not sure what the deal is with my motion swing... It does this every time. What exactly is it doing, and what do you want it to do? Motion Swing does not "swing" "thrust" or "missle" the weapon when I use skills.